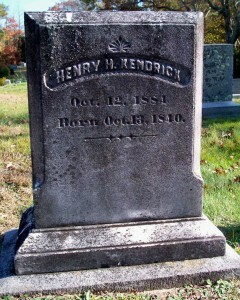 Born: October 13, 1840 in Falmouth Ma. 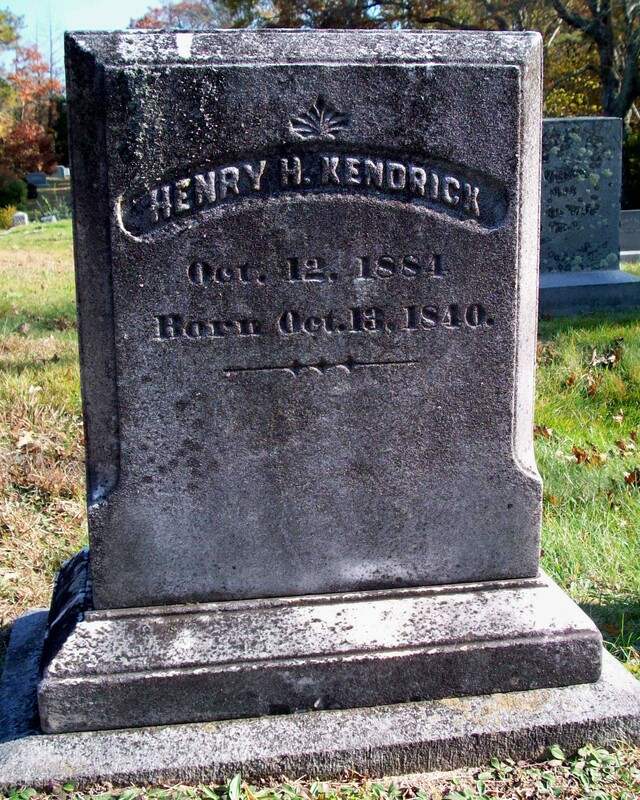 Died: October 12, 1884 in Bourne Ma. at 44 yrs. 1. Vernon Harding Kendrick; (February 5, 1874 – March 8, 1950); Vernon was born in Shanghai China; He married Delina Bowman (West) (1877 – 1959) (John M. West & Hannah H. Bowman) in Falmouth Ma. on June 12, 1899; Vernon & Delina are buried in Friends Burying Ground in West Falmouth Ma..
2. LaForest Wood Kendrick; (January 11, 1877 – 1946); Married Lillian Jane (West) Weeks (1866 – 1947) (John M. West & Hannah H. Bowman) in Bourne Ma. on November 9, 1896; Lillian married (1) Asa Tobey Weeks (1864 – 1930) (Heman S. Weeks & Elizabeth Loretta Wright) in Falmouth Ma. on April 6, 1884; Asa married (2) Emma L. Luscomb (Abt.1871 – ?) (Richard L. Luscomb & Ann Hurle) in Everett Ma. on September 13, 1896 & married (3) Jessie Amelia Mason (1875 – ?) (John Mason & Margaret Grant) in North Berwick Me. 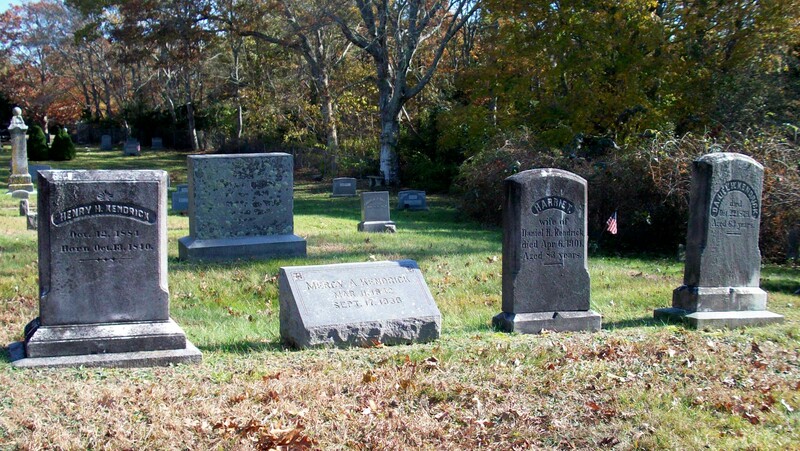 on August 20, 1921; LaForest & Lillian are buried in Friends Burying Ground in West Falmouth Ma..